This year’s World Economic Forum (WEF)—kicking off on January 22 in Davos, Switzerland—is set to be among the most anticlimactic in recent years. Domestic issues have caused major world leaders such as Xi Jinping, Theresa May, Emmanuel Macron, and Narendra Modi to stay at home, while U.S. President Donald Trump chose to pull the country’s entire delegation from the event. However, for Brazil’s new president Jair Bolsonaro, this year’s WEF could not be more important. Sworn in on January 1, Mr. Bolsonaro will make his debut on the international stage this week in Davos. 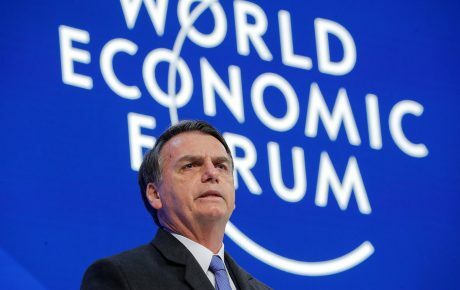 He will speak for 45 minutes during the opening ceremony of the WEF, and it will be the first time Mr. Bolsonaro will have the chance to address a global community which has heard plenty about him—and not much of it has been positive. The importance of the event to Brazil’s new head of state is such that he is bringing the largest Brazilian delegation in recent years along with him—including his “superministers” of Justice and the Economy, Sergio Moro and Paulo Guedes. The envoy will also stay in the alpine Swiss town for four days, which is uncommon for world leaders, who often spend no more than one night in Davos. As the event is centered around finance, Jair Bolsonaro’s main task will be to present precisely how he plans to reformulate the country’s economy. So far, the markets have given Mr. Bolsonaro the benefit of the doubt, with investor support on the rise and Brazil’s currency rallying after an atrocious 2018. However, this good faith is entirely dependant on the government’s ability to pass sweeping economic reforms, both to the tax and—most important of all—pension systems. 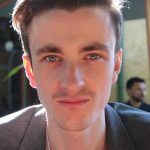 To this end, Paulo Guedes and Sergio Moro—Mr. Bolsonaro’s secret weapons—will be key. Though they are intrigued by the new president’s pledge to implement ultra-liberal economic measures in the country and open up Brazil’s market to global investors, the financial elites at Davos still have many concerns about the country. Mr. Guedes’ job will be to sell what the government is calling the “refoundation” of the Brazilian economy. 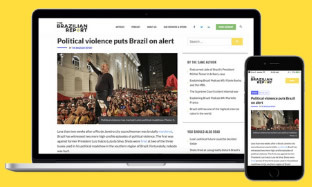 His platform will be based on three focal points: the much-awaited pension reform, the simplification of Brazil’s complicated tax system, and the reduction of the state apparatus. 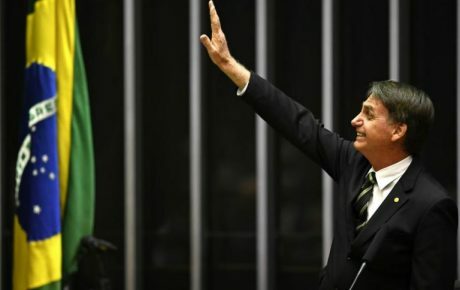 As far as the pension reform is concerned, Mr. Guedes’ economic team has completed the proposal which will be submitted to Congress at the end of the month, and President Bolsonaro will have used the long flight across the Atlantic Ocean to familiarize himself with the bill. Privatizations will also be a key topic, with both Mr. Bolsonaro and his Minister of the Economy set to showcase the state-owned companies which are to be sold off, and the effects this will have on the country’s economy. The judge-turned-Justice Minister Sergio Moro will play an important role in showing the Brazilian government’s commitment to fighting corruption, a recurring concern among foreign investors. However, while Mr. Moro has plenty of capital on the international stage (being the face of the Operation Car Wash investigations), the administration as a whole has questions to answer after recent corruption allegations involving the president’s eldest son, Flávio Bolsonaro. 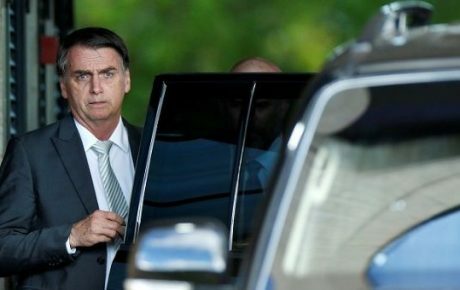 Davos is a great opportunity for Jair Bolsonaro, but he is arriving in Switzerland on the defensive. Financial elites are set to lap up Mr. Bolsonaro’s economic plans, but the international press surrounding the new Brazilian president has been overwhelmingly negative, particularly with regard to his decision to remove the country from the United Nations Migration Pact and threaten to do the same with the Paris Climate Change Accords. Though he was initially preparing to face questions on these topics, after the corruption accusations involving Flávio Bolsonaro were made public, the president canceled all meetings with the international press in Davos. Despite presenting himself as a populist anti-globalist advocate at home, Jair Bolsonaro is set to drop this façade in front of the international economic elites at Davos. His intention is to show off his neoliberal ideas for the domestic economy and present a Brazilian economy which is open to investment from the rest of the world. 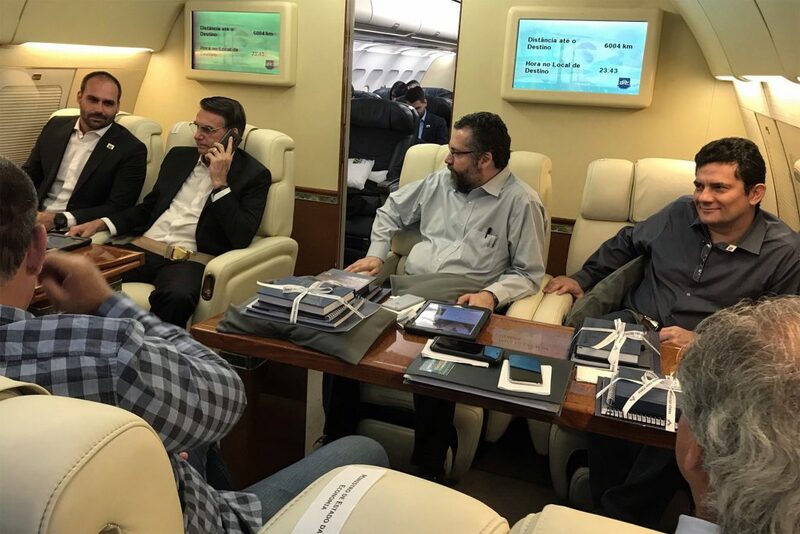 It is strange, therefore, that Mr. Bolsonaro would invite Ernesto Araújo, his Minister of Foreign Affairs, along on the trip to Davos. Mr. Araújo is a devout anti-globalist at what is potentially the most globalist event imaginable. “The chances of this going wrong are very high,” says Mr. Santoro. What can we take from Bolsonaro’s Davos debut?